Share the post "5 Labrador Puppy Training Tips For New Dog Owners"
Before I give you my 5 Labrador puppy training tips, I think it’s important for you to know the background of the Labrador. Understanding the Lab’s background will help you interact with him better by understanding his needs. The Labrador is a sporting dog. They’re bred to work in close contact with humans. And so they’re great candidates for Labrador puppy training. Labradors are eager to please and highly intelligent. If you’re looking for a family dog, this is the breed to adopt. And, if you’re a first-time dog owner, the Lab is the perfect pet. Now, some sporting dogs were bred to work independently of their owners. That means they’re accustomed to roaming around a lot on their own. Strong recall training will be required before you let this breed run off leash. Also, keep in mind that in general, the Lab needs plenty of exercise. If you walk him several times a day and give him plenty of opportunity to run, he’ll be very happy. At What Age Should You Adopt Your Labrador Puppy? Before I give you the 5 tips for Labrador puppy training, it’s important to know the best age to adopt any puppy. In general, you should not adopt your Lab before 8 weeks of age. Puppies need to stay with their litter mates and mothers at least until 8 weeks of age because this is how they learn crucial behaviors like bite inhibition. Also, the mother provides essential nutrients through the breast milk which provides antibodies and prevents diseases. Another reason why you shouldn’t adopt your Lab before 8 weeks is because when a puppy stays with his litter mates, it plays rough. Puppies wrestle with each other. They learn crucial things like bite inhibition. If a puppy is bitten too hard by one of his litter mates, he’ll squeal and not play with the offender anymore. That’s how the other puppy knows that he’s bitten too hard. It’s an effective Labrador puppy training lesson taught at a young age by his own litter mates and one that’s very valuable. If you take your puppy Lab away from his litter before he has learned that lesson, he’ll grow up without learning the damage he could inflict on others by a careless bite as he becomes older. Tip #1 – Dealing With Chewing and Biting – First things first. Establish the house rules. Labrador puppy training requires your dog knowing who who’s in charge. You are the Alpha, which means you set the house rules. Puppies like to chew on everything. It’s in their DNA. But in order to safeguard your dog’s health and keep your possessions safe, you need to take steps to prevent your puppy from chewing everything from cords to your expensive running shoes. You also don’t want your Lab chewing on your furniture and slippers. Chewing is fine, as long as it’s an approved dog chew. So have the appropriate dog chews lying around the house for him. Hint: If you find your pet chewing on something inappropriate, take the item away from him and firmly say “No.” Then immediately redirect him to something that is appropriate to chew (like a toy or a treat). 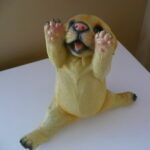 And as soon as he sinks his teeth into the toy or chew, praise him! Warning: Never, ever hit your Lab or smack him around for chewing something inappropriate. You’ll not only scare him, but you’ll make him distrustful of you. It will also foster aggression in him. All you need to do is be firm and calm with him. 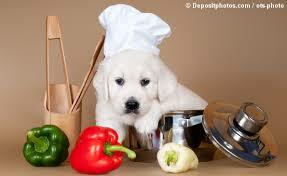 Tip #2 – Diet – Labrador puppy training requires consistency in all areas – including meal times. All dogs love routine. It makes them feel secure. So immediately set up a feeding schedule and stick to it. Hint: Stick with the same food brand too. If you change food brand or feeding time, it will result in an upset stomach, including diarrhea and vomiting. 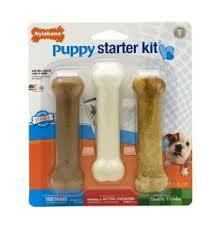 If for some reason you need to change your Labrador puppy’s diet, do it gradually. Give him time to get used to the new tastes and textures. Mix some of the old food with the new food. There’s no one size fits all when it comes to feeding puppies. All breeds are different, and each breed needs specific nutrients. 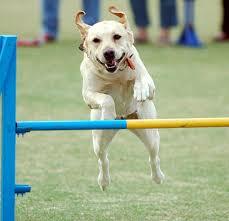 Tip #3 – Exercise & Rest – Another aspect of Labrador puppy training is exercise or agility training. 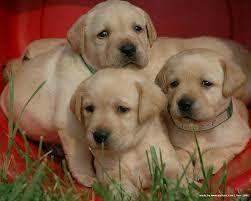 Labrador puppies need lots of exercise. An under exercised puppy is a cranky, mischievous puppy. In addition, dogs that are not exercised or walked regularly are prone to aggression and agitation. They also tend to develop separation anxiety. They destroy furniture and chew on things they shouldn’t be chewing on to relieve their boredom. Also, an under exercised Lab is prone to obesity, untoned muscles, which can lead to hip dysplasia. Solution: Exercise needn’t be an arduous undertaking. In fact, you can make playing fetch a part of training your Labrador puppy. Playing fetch will allow your dog to bond with you. When you go to the supermarket, take your Lab with you. Walk around the neighborhood with him. Lastly, exercise will slow down the onset of aging problems such as arthritis, rheumatism and digestive problems. Exercise will also keep your dog’s heart in shape and respiratory system running smoothly. Rest: As a puppy, your Lab is going to need to rest a lot. His resting area should be where his toys and bedding are. If you have kids, make sure your kids don’t try and wake him up while he’s having his down time. 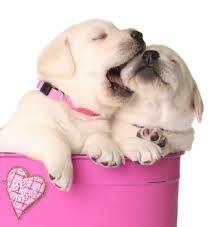 Tip #4 – House Training – Labrador puppy house training isn’t something that comes naturally. You have to teach your dog – early on – where to potty. Unless you teach your puppy where to go, he will poop and pee all over your house. Fortunately, it’s easy to house train your dog. But concerted effort is needed as well as consistency. When you see your puppy circling, pick him up and take him outside immediately. Or, if you’ve trained him to go on wee wee pads, pick him up immediately and bring him to the spot where the pads are and let him do his business. 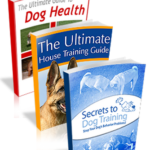 Complete house training is covered in more detailed in The Ultimate House Training Guide. Tip # 5 – Dog Aggression – It’s easy to forget that dogs are carnivorous hunters by nature. Before dogs became domesticated, they had to fight for food, shelter, a place in the pack, territory and a mate. Now that they’re domesticated, these natural instincts don’t go away so quickly. They’re always there. Hint: Socialize your puppy. Socializing a dog early on is the biggest deterrent when it comes to dog aggression. That means take him to the dog park where there are lots of other dogs. Better yet, take him to cageless doggy day care center. Running Paws in New York City is renowned for their excellent, large cageless dog care facility. The more socialized your dog is, the less threatened he’ll feel by other dogs. So, those are my 5 Labrador puppy training tips to help you ease into your new role as puppy owner. For more in-depth source dog training, buy The Dog Training Mastery Multimedia Package. Labrador Retriever Training - What You Absolutely Must Know!